Throwback Thursday | Moving to NYC. Hello and happy Thursday! I’ll be back next week with more about our trip (in short, it was awesome! ), but today, I have a different story to share. Way back in 2009, Katie’s first job out of college was in New York City. She worked for NBC/Universal at 30 Rock. That June, she and I made two trips to the city – the first to find an apartment (we flew) and the second to move in. 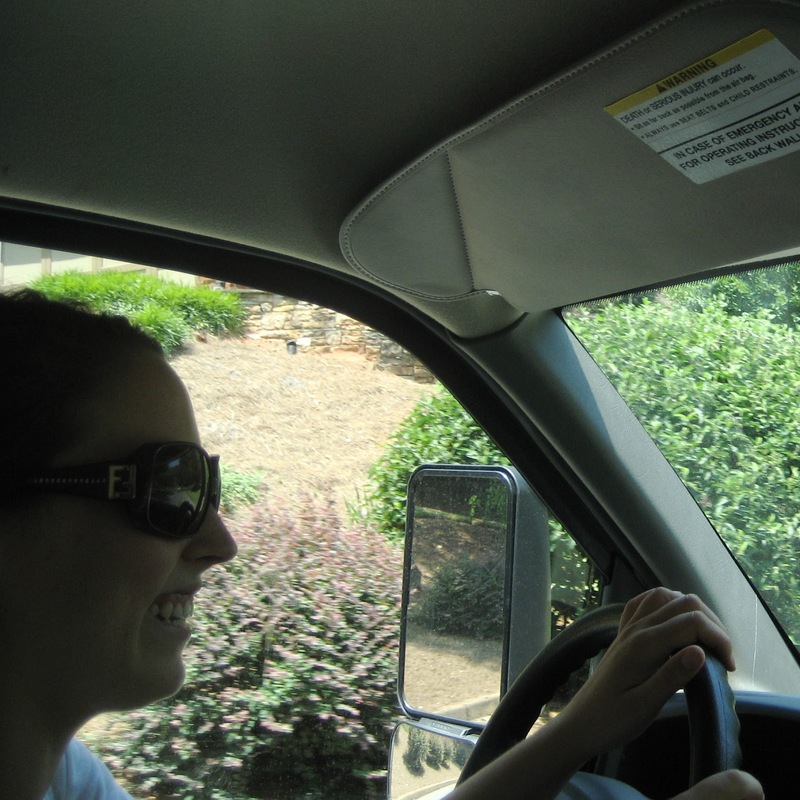 For that second trip, Katie drove a U-Haul and I rode shotgun. Looking back, it was a crazy couple of weeks (here’s a link to all the photos and the story I shared here on the blog), full of wonderful mama memories. Next month, I have the privilege of helping Sara make her own move to NYC. Her last day with Epic in Madison is September 15. She starts a new assignment working from New York on October 2. Last week she found an apartment on the Upper East Side and signed a lease. She’ll be driving a U-Haul from Madison to NYC – with me riding shotgun – starting September 16. I’m excited to be part of this new chapter in Sara’s life – and look forward to sharing the story with y’all. I’m also looking forward to catching up with you and the 100+ blog posts in my Feedly reader. But my mom is here until Sunday and the weekend is full of family plans … so, next week for sure! I remember when you and Katie drove to NYC and got her settled and I'm so excited for you that now Sara will be moving to the city, too! Maybe Hannah and I can meet up with you and Sara in New York some time! I'm glad you've had such a great vacation and I'm looking forward to hearing all about it. Congratulations to Sara! There is just something wonderful about helping your kids move – the bonding time on the long drive, making fun, shared memories, the reassurance of helping them settle in and being able to picture their new surroundings. Happy weekend and I'll look forward to hearing about Alaska! New chapter for Sara, but a new chapter for you, too! Looking forward to next week and hearing about your trip. It certainly looked fun and amazing! Welcome back! Can't wait to hear/see all about your Alaska adventure. Congratulations to Sara – NYC is such a fun town!! Congratulations Sara! I'm bummed that we never had our Wisconsin meetup!! So looking forward to hearing about Alaska! Congratulations to Sara on her new job! Good luck with her move. I remember following my daughter Kate as she and her roommate drove a UHaul when she moved from Chicago to NYC two years ago. They are still in the same apt next to Clinton St Baking Co in LES. We will have to meet in NYC sometime and have coffee and knit!! Welcome Home! And congratulations to Sara! Looking forward to hearing about your adventures past, present and future!! Glad you are back! And can't wait to hear all about your trip! Congratulations and best wishes to Sara as she embarks her new adventure! I helped my sister find an apartment in NYC last summer, also upper east side. Fortunately she hired movers for the cross country move. Reminds me of when I moved cross country form Ohio to Maryland…a loooong time ago. We had two cars plus…look forward to the next big trip…and welcome back! So excited for Sara… and you, to have her closer to home. One of my kids lives in the city and can sometimes be found at open mike nights at The Bitter End. We'll have to invite Sara to meet us – a chance to make new friends her age. thanks, Lisa – that's awesome!